1 Pair of Cuff Links Officially Licensed by the NBA. These Cufflinks arrive in the Official NBA Gift Box complete with a ball-like interior which completes the experience like no other gift box can. 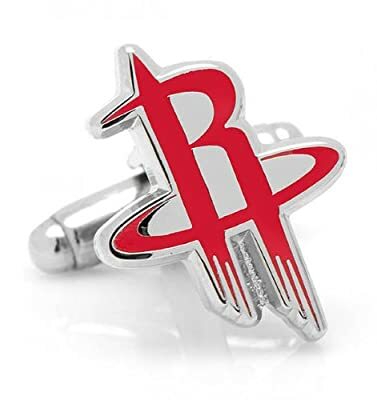 Team logo cufflinks are an awesome men's jewelry gift idea for Father's Day, Christmas, Birthday or an upcoming Wedding. Get all of the groomsmen to wear their favorite team and make your wedding pictures truly stand out. Leave the face paint at home and show your allegiance to your favorite NBA team at the office, the bullet-back closure allows for easy daily use.